This product extends your audio and Component video signals up to 1000 feet by receiving remote AV signals from our CAT5-connected base units, such as the 1:4 or 1:8 Component Audio CAT5 Distribution Amplifiers. 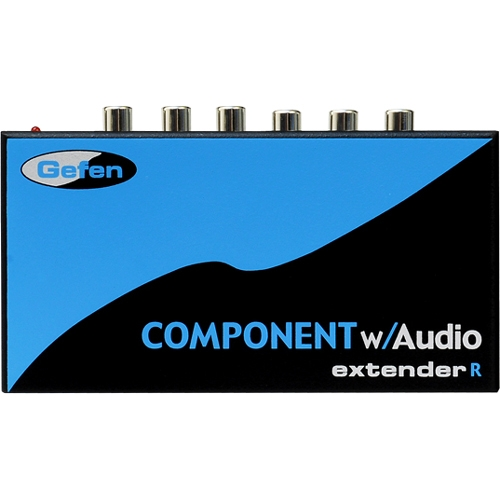 The Component Audio Extender will extend Analog Component as well as Analog Audio or Digital Audio via SPDIF or TOSlink. All audio is transmitted digitally over the CAT-5e cable and both the analog and digital audio outputs are active on the receiver side.